Chain saw for grounds maintenance. 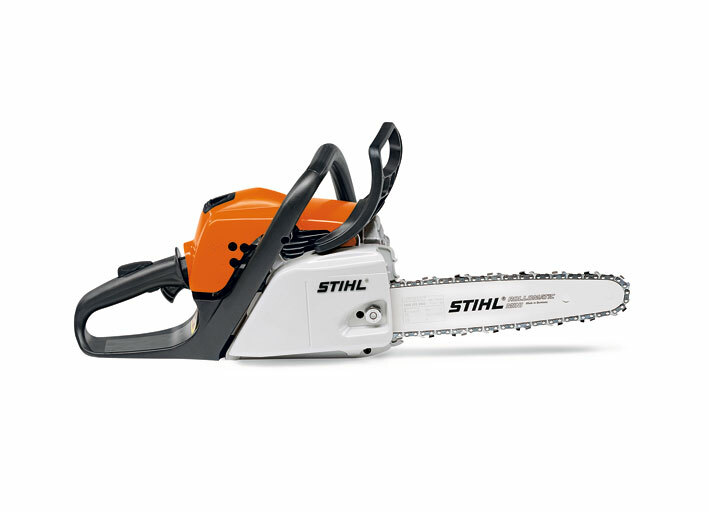 Wide range of features such as the long-life air filter system and the STIHL anti-vibration system. great for cutting fire wood, and for building. Up to 20% less fuel consumpton and upto 70% fewer emission compared with previous models without 2-MIX technology. Machine has been fueled and run once at show to demo starting.